When you run a business, you need to be able to contact and be contacted easily. The best way to do this is by installing a good business phone system, as this represents your connection with the outside world. It’s important that you choose the right system, as this can mean a big difference in the way that you run your business. The right decision can bring you a lot of satisfaction, but the wrong one can bring you different problems from financial problems to operational problems. To do this in the right way, you will need a careful planning, exactly as it was when you have started your business. If it was enough to have a smartphone at the startup, once you have evolved, you will surely need the help that a business phone system can bring you. It’s very important to know how many phones you will need. The number of your stuff can say a lot about this, as you surely have some important people that you need to be able to communicate with them on a constant basis. It’s easy to have two mobile phones for less than 5 people working for you, but if you plan to extend or if your business has a bigger staff, then those 2 phones won’t be enough, and you will have to turn to a business system. Once you have determined the number of phones that you need, make sure that you also know what features you will need. There are different systems that allow you to do different things, like direct all the calls to a receptionist or implement an auto-attendant that helps callers reach different individuals. You can also have conference callings or call forwarding, a voice mail or other interesting features. Write these down when you think about your business phone system and see what the market has to offer. Your company’s location can determine a different solution, especially if your business has multiple points of operating. This is because there is a difference in using a system for a single location and using a system for the same business with more locations. You need to know how to choose a business phone system, as the location is a very important feature that can determine which system is good for you. The system called PBX stands for Private Branch Exchange and it’s a system that places the technology of the phone on hardware that can accept the phone lines directly from the phone utility. VOIP means Voice over Internet Protocol, where each handset (each phone) is a small computer in itself that can plug into an internet connection. The PBX system can be very expensive, and represent quite a challenge to program. However, they work well and an additional handset is cheap. 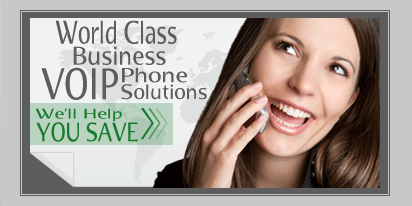 The VOIP system is very easy to use, and can be used for multiple locations. The difference is in the price, as each phone (handset) can be quite expensive, and it is not a cheap option, especially for a business that needs more phones. To make sure that you choose the right system, you need to carefully analyze and plan accordingly to your business’s needs. It is advisable to test your choosing before you decide on something. This is because you need to know how easy it is for each system to program or to add new lines. This will prove important in the future, as if your business expands, it would be easier to add new handsets (phones) than to change the entire system. You will also need to know how to work with the features of the system and what you need to do when you want to add an employee or remove one from your system. All these details will help you choose a better system, if you take everything into consideration.